To order, please email PPSA. 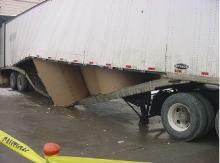 The Truck Trailer Loading and Unloading video/CD program was created to train employees to understand the importance of recognizing structurally safe vs. unsafe trailers prior to loading or unloading. Participants will also learn to practice clamp and lift truck driving techniques which minimize the forces that damage truck trailers. This video is available in English and Spanish. A Leader's Guide is included. Check back here for future webinar dates! Click on the Icon to view the webinar. Numerous companies have voiced concerns about not being able to implement the Human Performance philosophy as advertised. Concerns about Sr Mgt buy in, Just Culture, what HPI tools work and don't work, etc.. Join us for a Back to Basics review of what companies are doing that are having success with implementing Human Performance. Less is Sometimes Better! To error is human, to Manage Human Error is Human Performance. OSHA statistics repeatedly show high numbers of forklift-related injuries and fatalities each year. Of those, many involve people being caught between trucks, run over by a forklift or crushed between a forklift and a surface, which are avoidable with the right process in place. This webinar is centered on reducing potential risks between forklifts and pedestrians in a manufacturing or distribution facility through a comprehensive process designed to measure and minimize risk. OSHA's been a bit listless this past year, but it's not lifeless. From silica to electronic recordkeeping/recording to drug testing and safety incentive programs to a new SST national emphasis program, this webinar will include a review of the highlights of OSHA's activity over the past 11 months and some of the important cases the Occupational Safety and Health Review Commission and the courts have decided regarding the standard for repeat citations, the PSM Standard, the lawfulness of some construction standards, and more. This webinar explored the recent CSB recommendation and developments in PSM during the “Recent Developments in Pulp & Paper PSM” webinar and provided practical advice on how companies should consider these issues. It was presented by Devon Downs from Katten Muchin Rosenman LLP and Dr. Trey Morrison, PE from Exponent. This webinar covered how to design, select, and develop a safety committee to maximize their impact on safety culture and safety results. We have all witnessed safety committees that don’t work and often complicate and conflict with the safety vision and mission of the organization. This webinar will help you identify the pitfalls of committee failure and align those safety committees to perform beyond expectation and help you and the organization continue to progress toward a true injury free culture. This webinar will provide a ‘behind-the-scenes’ look at creating surveys that work. You will learn about the psychology of survey response, why it’s important to start with the end in mind, the basics of survey design and how to maximize response rates. Join us if you feel your organization can improve the quality of their surveys to get more actionable data and walk away with some actions you can take immediately. This webinar helped put some practicality to machine guarding, thus reducing the arguments against properly implementing machine safety guarding systems. It also highlighted some of the common thoughts and practices in machine safety integration as it pertains to both US and international safety standards. It was presented by Jim Darrow and Nancy Garry from HRP Associates. This webinar reviewed findings from a cross-functional study group comprised of some of the largest and safest companies in the world that counter traditional safety beliefs and how these findings have created as seismic shift in safety and human performance for the oil and gas, utilities, mining, and transportation industries. It was presented by James Grant - Dekra Insight. This session highlights how organizations are successfully benchmarking leading indicators derived from safety observations they collect to effectively reduce—and prevent—hazardous conditions and behaviors in the workplace. Additionally, we will discuss the use of predictive analytics and how computer modeling can help safety professionals more easily identify and mitigate risk. The key take away from this session will be to set up internal benchmarking expectations so that data collected can be used to drive continuous improvement. It was presented by Cary Usrey - Predictive Solutions. This webinar is an introductory course that covers topics ranging from why we as humans are fallible, how we can predict “error likely situations”, how to identify Error Precursors that increase the likelihood of making an error, what simple (but highly effective) tools are available to manage errors, and finally how to defend against the consequences of errors. 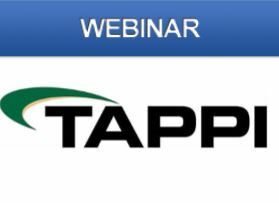 It was presented by Shane Bush - BushCo, Inc.
*TAPPI and Valmet were the host of this webinar and were the Subject Matter Experts. This webinar is for anyone who needs to increase their level of understanding around combustible dust and become more knowledgeable about the ways to safeguard their facility. It was presented by Jason Reason, Combustible Dust Consultant/Industrial Hygienist - Lewellyn Technology. This webinar will cover new changes and tips on implementing the NFPA 70E Standard at you’re facility. Presented by Jay Smith, Executive VP, Lewellyn Technology, this presentation will highlight how compliance can save lives, reduce liability, and help avoid unexpected downtime and revenue loss. 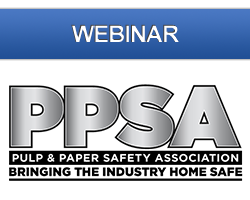 This webinar gives you a basic overview of OSHA Recordkeeping rules and regulations presented by Eric Barnes, International Paper and Eric Hobbs, Michael Best & Friedrich LLP.